PR Sample Farleyco is the source of many of my favourite drugstore brands, and they recently sent me some amazing new goodies that would make perfect stocking stuffers, or just a little treat for yourself. I’ve rounded them all up into one Stocking Stuff Gift Guide to let you know about these awesome options from brands like Real Techniques, 7th Heaven, EcoTools, and more. I have adored the 7th Heaven face masks for years (previously Montagne Jeunesse, check out these reviews from 2014!) and I really love masks that detoxify and purify my skin, so of course I was thrilled about the 7th Heaven Charcoal Mud Face Masque and 7th Heaven Charcoal Peel Off Masque. I immediately tested out the 7th Heaven Charcoal Peel Off Masque which contains cleansing activated Witch Hazel, but doesn’t give you that “burning” feeling some face masks can, thanks to Birch Leaf that calms and soothes. It definitely does get tight on the skin by the end of the 20-25 minutes, but it peels off perfectly and my skin and pores looked so good afterwards! It gives you that “squeaky clean” feeling so I would reach for a moisturizer afterwards. Unlike a lot of 7th Heaven masks that I can get multiple uses out of, this was a single use masks for me (I mean, that’s what they are sold for and it’s a great deal at ~$2, but most of them I can use 2-3 times). I’m giving my skin a couple days off but I’m really looking forward to trying out the 7th Heaven Charcoal Mud Face Masque next. 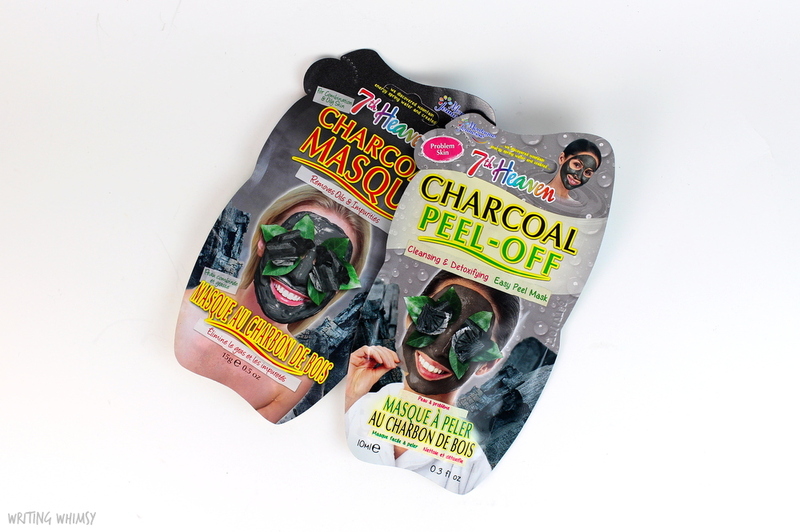 It contains natural charcoal as well as walnut shell to cleanse and exfoliate your skin. 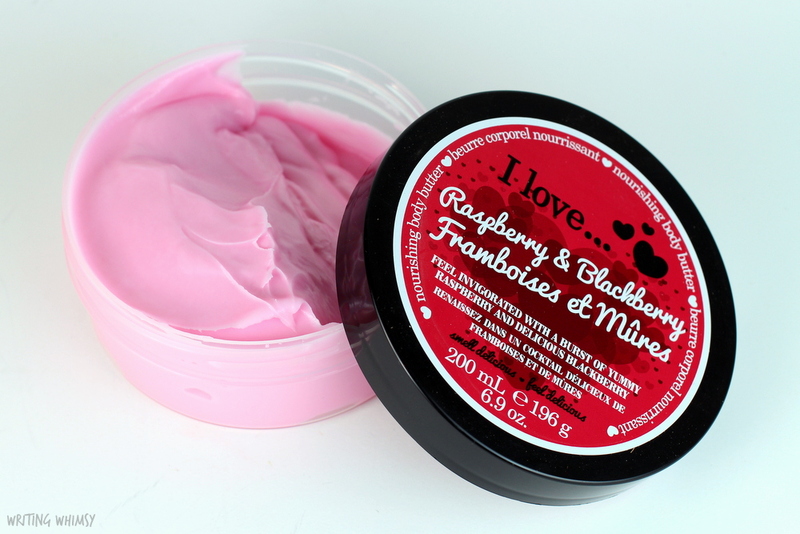 The I love…Raspberry and Blackberry Body Butter has a bright fruity “juicy” scent and a slightly wet formula that absorbs into the skin and moisturizes pretty well, leaving my skin with a fairly strong scent afterwards. I can never have enough body butter during the winter months, so I think this makes a perfect stocking stuffer! Another product I can never get enough of during the winter months? Lip balm. 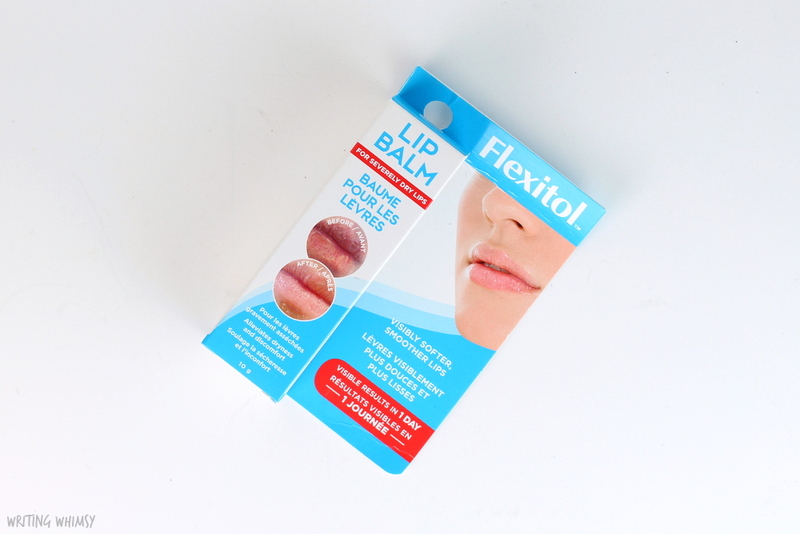 Guys, my lips are in really terrible shape these days, so I was thrilled to test out the Flexitol Lip Balm. First, it has a “squeezy tube” applicator, rather than a pot, which makes it much more convenient for on-the-go application. It has a scent I can’t really place minty but also candy-like, and once applied it has that immediate cooling effect on the lips, due to the menthol. I actually really don’t like lip balms that do that, but if you do, this has rave reviews when I Google it so it is certainly worth testing out! The newly launched So..? Fragrance Body Mists are 100 mL in size, making them perfect for a stocking, or airplane travel! I tried out the scents Vanilla Milkshake (sweet and creamy), Pink Grapefruit (bright and a little tart) and Wild Berries (very fruity). There’s a great range of scents and the mists aren’t overpowering or super long lasting, making them a good choice for a younger family member first getting introduced to fragrance. 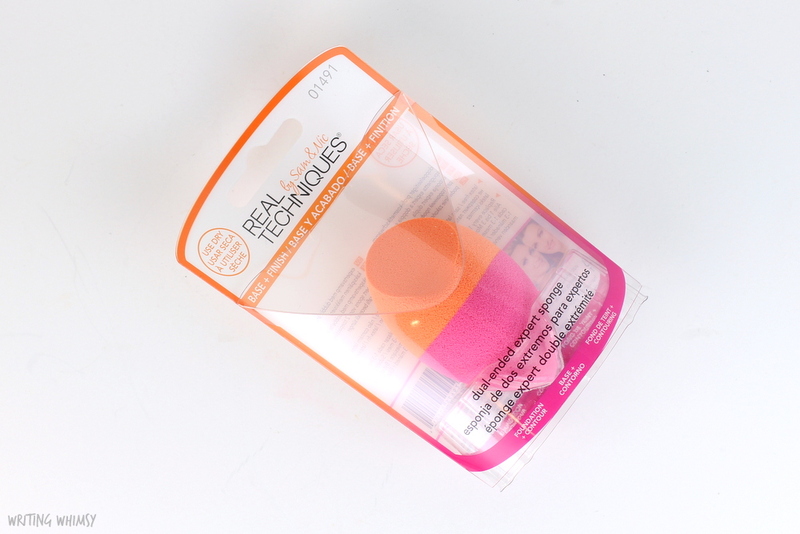 I admit I never got on the Beauty Blender bandwagon because I am really too lazy to wet a sponge before I use it. Yes, I’m that lazy. Luckily the Real Techniques Dual Ended Expert Sponge is meant to be used dry, and I’m obsessed. It reminds me a lot of the Dior Backstage Blender (reviewed here), but at a fraction of the cost. The orange side is meant for applying for foundation, while the pink side is to contour, highlight or blush; I actually used the nice pointed end to get around my nose as well. It gives a really beautiful natural finish, which is perfect during the cold weather when my skin is dry and foundation can end up looking caky. Would absolutely repurchase this and be thrilled to find it in my Christmas stocking! 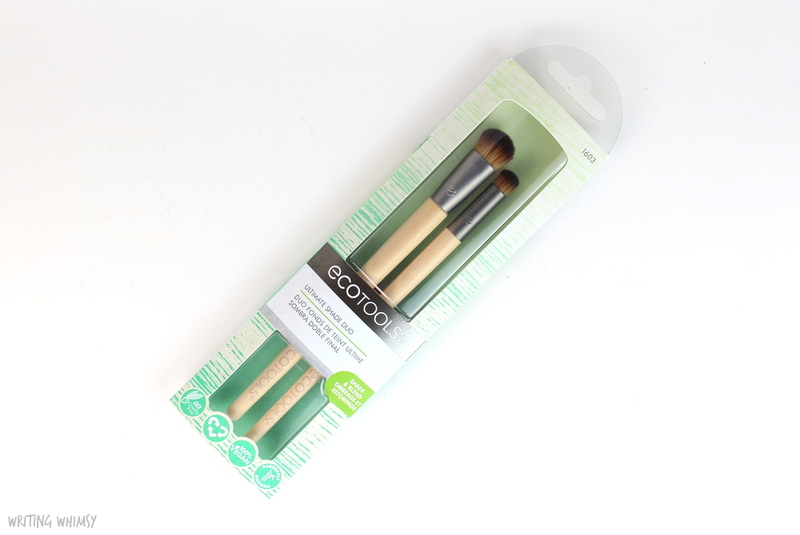 Lastly, There are some lovely new brushes available in the Ecotools Ultimate Shade Duo. It includes a shade brush for applying shadow all over the lid, and a smaller precision blending brush to apply and blend accent colours. The bristles are really soft and EcoTools is a great value for money brand when it comes to brushes. This set would be perfect both for somebody who is new to makeup and building up their collection, or somebody who needs a refresh on the essentials. It would even be perfect for the beauty blogger who has everything, because who couldn’t use some nice new brushes? Definitely a great selection of products available this season from Farleyco that make for easy stocking stuffers, secret Santa gifts, or just fun treats to yourself! Availability of these products varies by brand, but you can find them all on the Farleyco website and most at select Rexall PharmaPlus, PharmaSave, London Drugs and Lawton Drugs, with the exception of I love… which is a Shoppers Drug Mart exclusive brand. Honestly, there’s nothing in this post that wouldn’t make an excellent gift, but let me know, which one of these products would you be most excited to find in your stocking Christmas morning?